That’s a sad tale. I too have butterfly fatalities resting heavy on my conscience. As a young kid growing up in New Guinea, my brother and I went through this phase where we were keen on butterfly collecting. So each day we’d venture forth with home-made nets, catching butterflies and putting them into small cages made from cardboard boxes. The creatures quickly died of course, after which we’d pin them onto boards for display. The thought appalls me even as I write this. My only excuse: we were young then. But why didn’t our parents put us straight? Mmmmmm…. I sometimes have the same thought about all the frogs legs I had my mother cook up for me. We were young. And it took us more than a single episode to learn this lesson. While it’s sad that a single butterfly had to die for Zorba to learn his lesson, it’s perhaps worthwhile in the order of things. 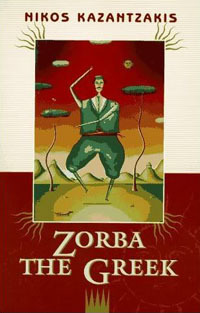 Afterall, Zorba learned an appreciation for, well, The Dao (The Way, literally translated), in that moment. In the Daoist way of thinking, maybe this was the one way Zorba could learn the lesson, making the entire experience part of The Dao. What’s truly sad is how many butterflies have died without any lessons being learned. But, then, that’s the way of the Dao too. Love the Golden Rule. Any law or rule which abrogates or offends this rule is a poor one to live by, and a worse one to enforce.